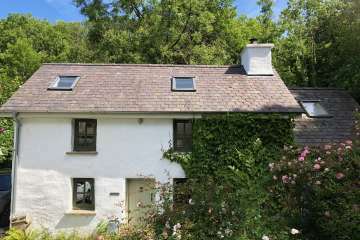 Cosy, quirky cottage, close to the beautiful beaches of Cardigan.Sheep/dog proof fencing enclose the large grounds in a secluded location on the edge of an ancient wood. 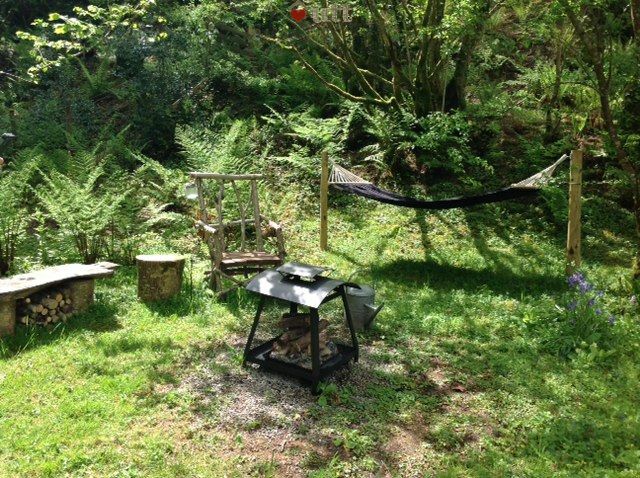 Incredibly romantic and peaceful setting surrounded by birdsong. 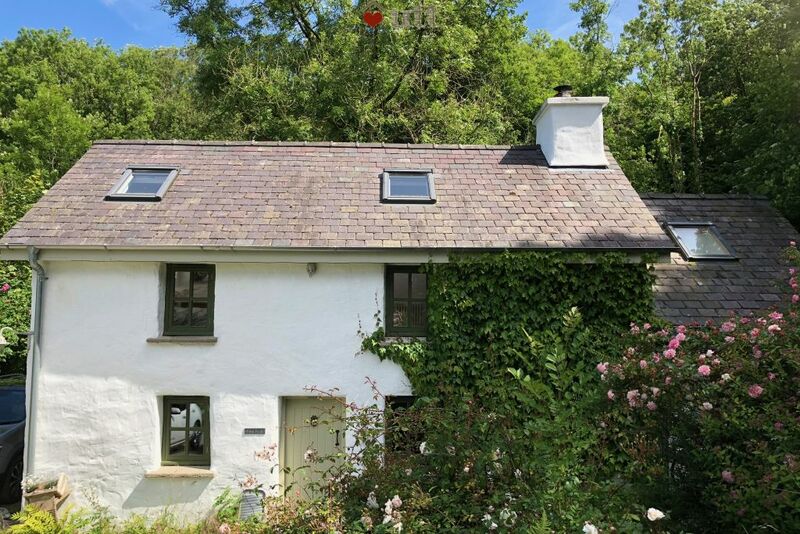 This delightful 1800's cottage situated, on it's own, at the end of a lane, in over an acre of grounds, looks directly out across the rolling countryside of Ceredigion. This sweet rural cottage was built originally as a farm workers cottage. 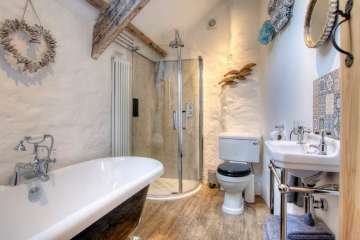 It has been recently renovated to a very high standard using traditional local materials and local craftsmen. 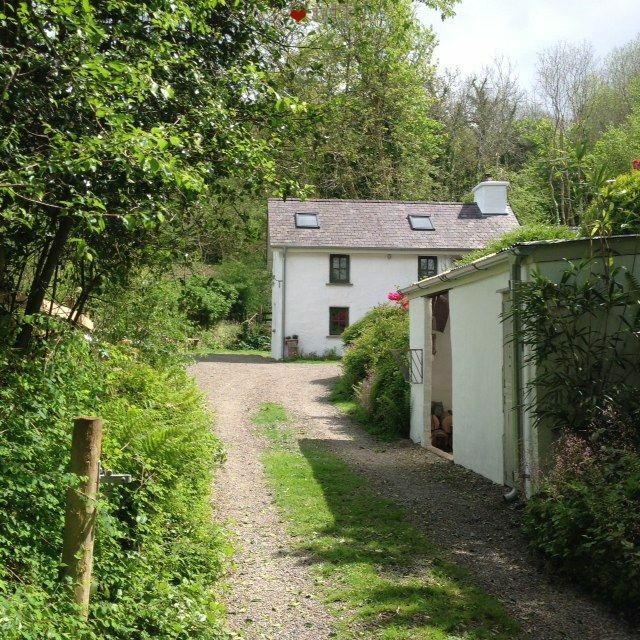 Fron Fach is an ideal location for wildlife enthusiasts, dog lovers and walkers alike as it looks out onto woodland. 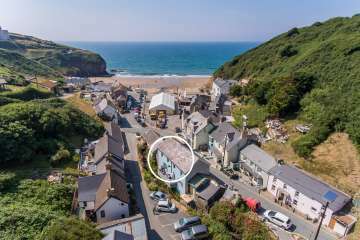 Although the cottage is in the heart of the countryside, it lies only 7 miles from Cardigan Bay and the beaches of Llangrannog and Penbryn. 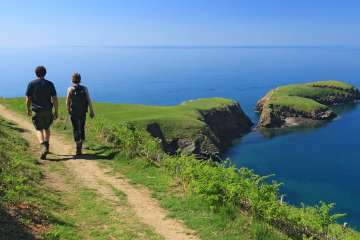 Dog walks from your doorstep and more beaches at Newquay, Aberporth, Tresaith and the Georgian seaside town of Aberaeron. All windows are double glazed. BT Broadband, Sky TV and central heating. 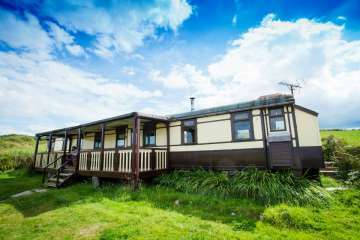 Well equipped spacious Kitchen/Diner with a separate gas hob, fridge /freezer, toaster, kettle, microwave, washing machine /dishwasher and electric oven. Original slate floor. Slate worktops, belfast sink and bespoke fitted kitchen units. There is a wooden table with two chairs. Large inglenook fireplace with log burning stove, 2 baskets of logs included, with large 3 seater leather settee and arm chair. Smart TV with SKY TV. A selection of books, maps and games are also provided. Second single bedroom with single bed chest of drawers and shaker style clothes hangers. Spacious,bathroom with roll top bath and separate shower enclosure,radiator and towel rail. A dog/sheep-proof fence encloses the large garden. 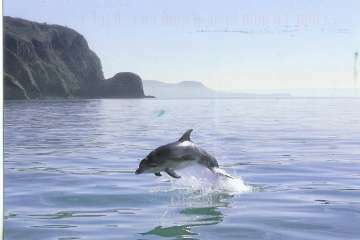 Dolphin watching from New Quay, Tresaith, Penbryn and Llangrannog beaches. A superb retreat in the most beautiful setting. The cottage was even more beautiful seeing it 'for real' as we arrived. Everything was carefully considered and beautifully arranged, lots of quirky additions as well as all the creature comforts one could desire. Thank you for a wonderful, relaxing weekend away from the rat race. We've stayed at several UTT properties over the years but this, hands down, was the best ever. Very peaceful, very lovely, fabulous location and perfect for a two people, two dogs holiday! We arrived on New Years Eve after a hectic week and a long drive, to find wine and nibbles in the fridge, foodie treats in the cupboard, the fire ready to light and a record player waiting to be played. 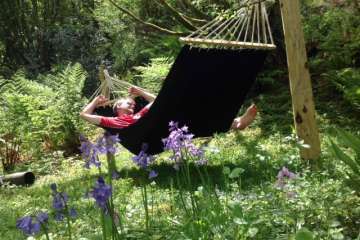 Within an hour we were completely chilled out - and the whole week stayed just as relaxed. So perfect we've already rebooked. Beautiful cottage in a beautiful location. Cosy and comfy inside; beautifully organised for total relaxation. Soft towels, comfy sofa & snuggly throw, plenty of logs for the wood burner. Lots of lovely personal touches; soft towels, goodies in the fridge, amusing mugs and funky teapots! 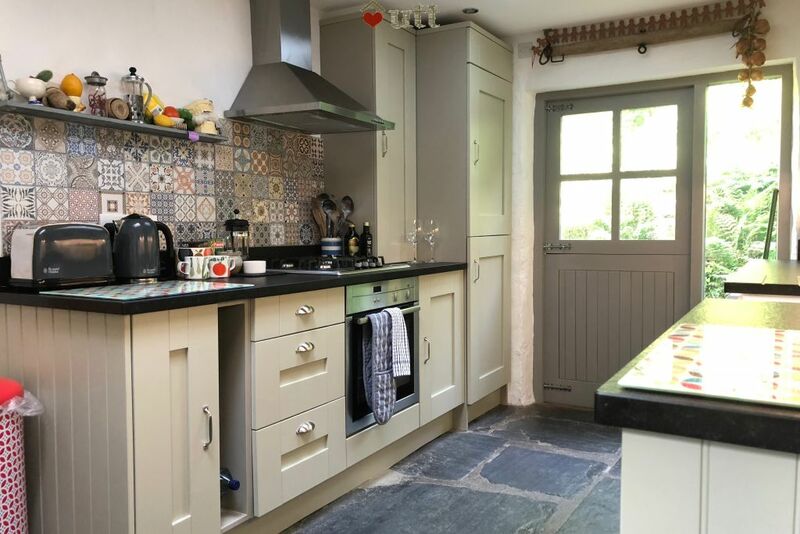 The best equipped kitchen; plenty of pots, pans & utensils, crockery & glasses plus essentials in the cupboard. I won't bring nearly as much stuff next time. Lacey loved the garden; she was able to zoom about and sniff without supervision (once I'd stopped being such a worried hound Mum!) Phil was great and helped me retrieve the last minute birthday card! Thanks! In summary, the best cosy week away ever, in the best cosy cottage. Don't tell anyone... Vickie, Wes (the birthday boy) & LaceyGHound. 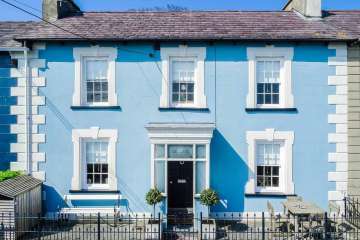 This was our second stay at Fron Fach and we loved it just as much as the first time. We had an extra dog this time, Paddy the ex-racing greyhound, who absolutely loved exploring the garden. 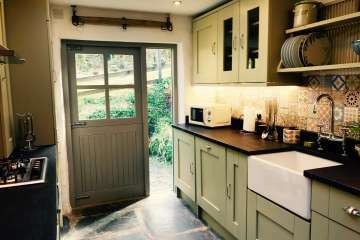 Beautiful cottage, every little detail thought of and completely safe for dogs with the properly fenced garden, so cosy at night with the log burner and the sound of the brook outside. Hope to be back for a third stay soon! 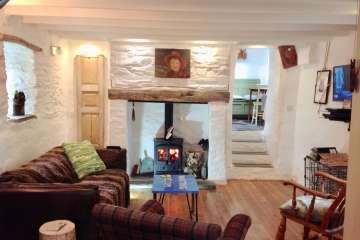 Wonderful cottage to escape to and just relax - delightfully fitted out and really comfortable. The welcome pack on arrival was a lovely gesture, kitchen a pleasure to cook in, we curled up in front of the wood burning stove on a wet evening. Pippin our boarder terrier tested the defences but didn’t escape! We loved Fron Fach. It was better than we expected, decorated and furnished to a high standard. Everything was well thought out to make our stay pleasant and easy. We loved the secluded spot with nothing to disturb the peace and quiet. The information given to us for exploring local walks and the surrounding areas was perfect. Could not fault our stay in any way. 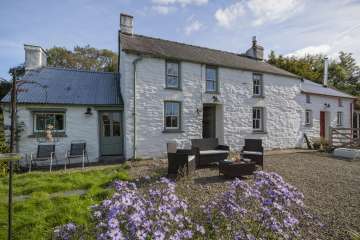 Having read the online reviews for Fron Fach, we decided to arrive with no expectations of the cottage, as good reviews can lead to high expectations and ultimately, often to disappointment. However, I am happy to say that with Fron Fach, this definitely turned out not to be the case! The cottage was everything we could have hoped for. 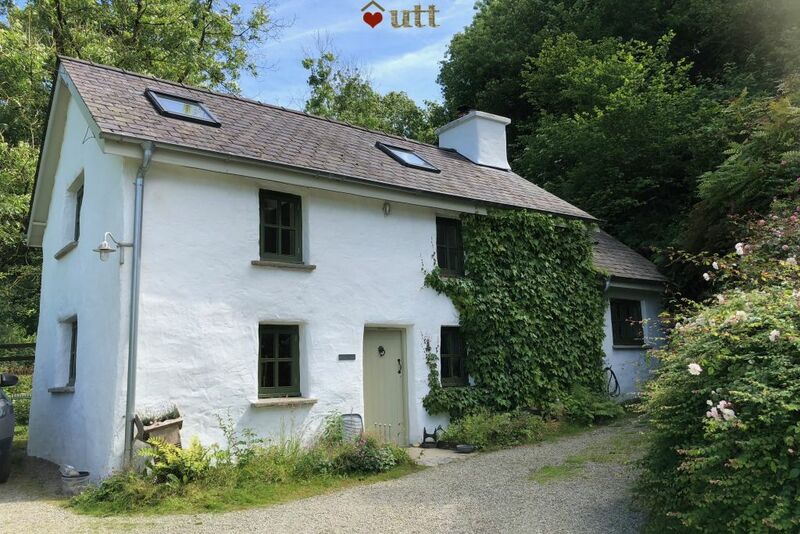 Set 100 yards up a private track, Fron Fach is a completely secluded and private hideaway. 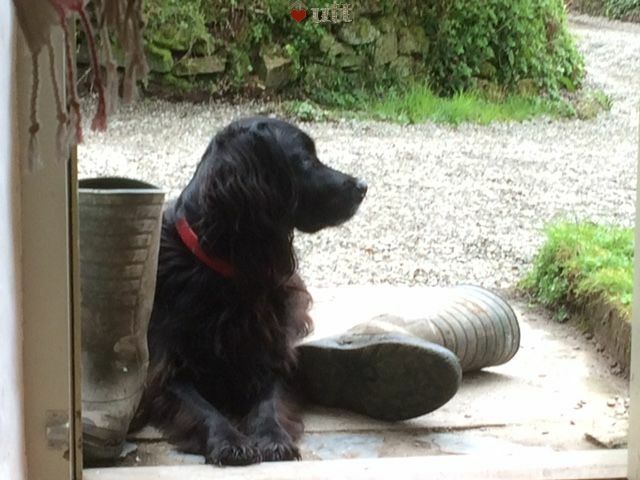 The garden is secure and full of nooks and crannies that our dogs loved to explore and we were safe in the knowledge that once they were out in the garden, they stayed in the garden and could not wander off into the surrounding woodland and farmland. 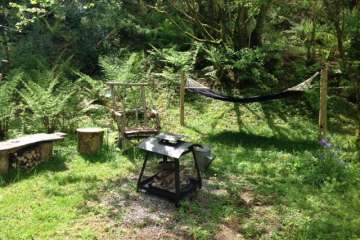 There is also a fantastic outdoor area created by the cottage owners with a fire-pit and hammock and seating to retire to in the summer evenings. 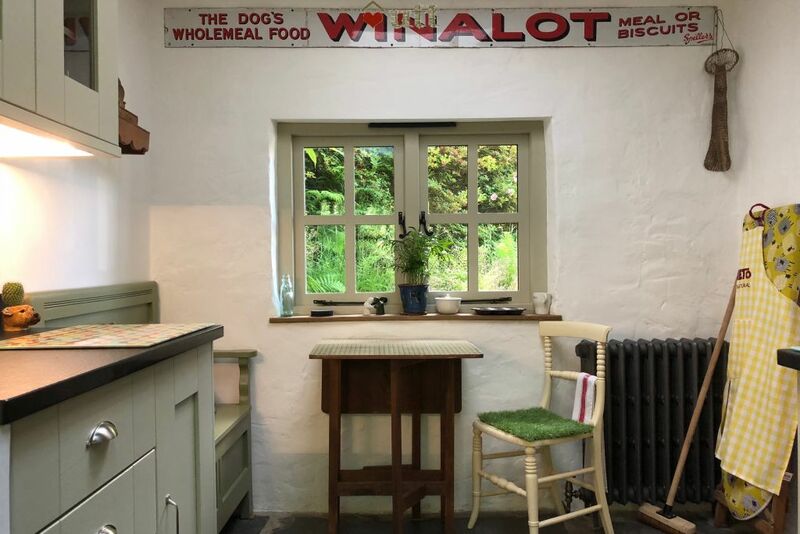 On the subject of the owners, I have to commend them as they not only provided a clean, tidy and well-equipped cottage but also went the extra mile to ensure that guests feel not only welcome, but at home in Fron Fach. 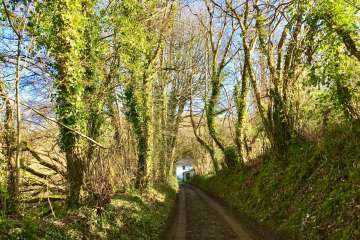 Last week was the week that the good weather broke and, despite the weather being significantly poorer than in recent weeks, we still managed to find plenty to do locally. 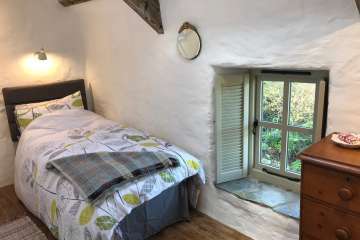 We have made some recommendations in the Cottage Guest book, which I am sure you will read when you book the cottage yourself - which I really recommend you do! I have sat staring at the keyboard for what seems like ages trying to find the words to best describe Fron Fach, because sublime, dreamy, perfect, peaceful, secluded, heavenly, idyllic and cosy just don't cut it. This cottage is all of these things and more and more and more. 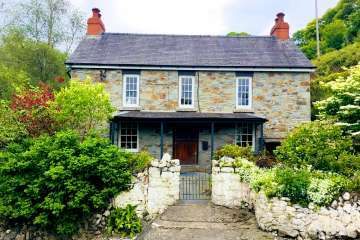 Fron Fach is the most magical place we have ever stayed, we had planned days out, but found it difficult to tear ourselves away. The hosts are extremely thoughtful and kind, we did not want for a thing. The most perfect holiday, thankyou. 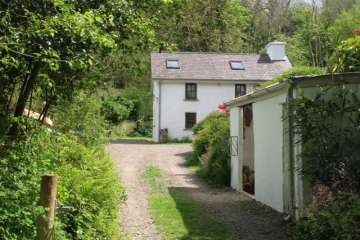 Wonderful cottage, well equipped and in beautiful surroundings. Can’t wait to go back! Where should we start , the drive up to the cottage is enchanting, its so peaceful and secluded. The cottage when you see it with its beautiful gardens and wildlife is amazing. It's so beautiful inside and out, exactly what we needed for total relaxation after a busy few months. We came here on our honeymoon and it couldn't have been more perfect. The owners of the cottage have thought of everything, books , DVD,s, nibbles and wine on arrival. The cupboards are stocked with goodies and ingredients for you to use. Inside is brilliant, quirky but tasteful decor, really hi-spec features but so homely. There is plenty of firewood, marshmallows for toasting, binoculars for watching the birds, and there are loads , the woodpecker was a frequent visitor. There is absolutely no need to leave this cottage, you could stay in all day every day it's so tranquil and beautiful. 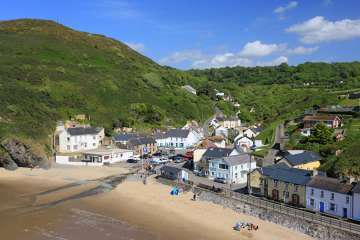 On the odd occasion we did leave , we spent a wonderful day in New Quay dolphin watching, and taking our dog to the local beaches, there's so much more to say but I fear spoiling it for the next guests. You need to experience this for yourselves!. Take our word for it, it's amazing, and the hosts are wonderful, left us to it but were just around the corner if we needed them. We will definitely return..until next time.. Fantastic cottage beautifully decorated and equipped with everything you could need. Our favourite cottage ever - don’t change a thing. Amazing place.. Peaceful and secluded.. ! 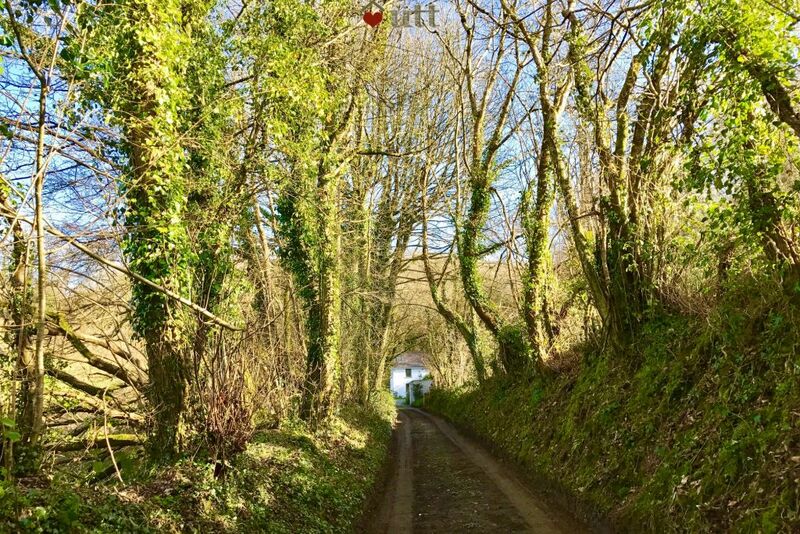 Fron Fach is the most delightful little cottage, hidden up a narrow lane, in a beautiful part of Ceredigion, which is a county with plenty to explore. To say that the owners have undertaken a 'sympathetic restoration' doesn't do justice to the effort and love that has been invested, topped off with excellent good taste and quality in all the fixtures and fittings. In our 4 day stay, we survived Hurricane Ophelia and just escaped Storm Brian, but we were cosy in the cottage and delighted with our choice of holiday venue. 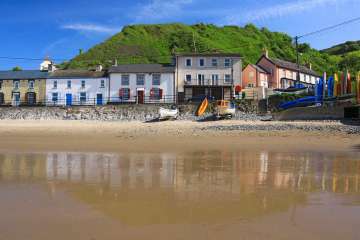 It's very rare that somewhere exceeds your hopes and aspirations but Fron Fach certainly does that. 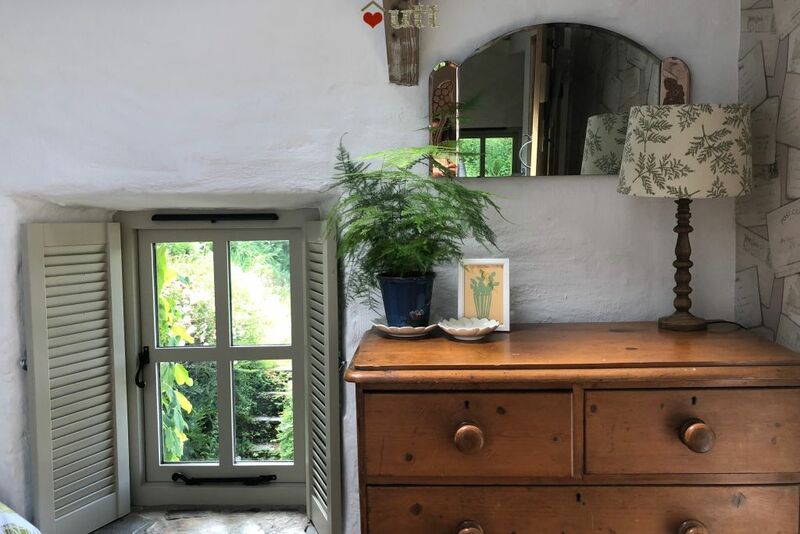 From the moment we drove down the private lane everything was perfect.The cottage has an idyllic position in the woods and inside it is decorated with pieces from a talented local artist. The welcoming notes and extras provided by the owners were lovely. Did the Donkey walk and Weavers walk and lunch at Pachamamas as suggested by them. Excellent. Our two dogs and us thorough enjoyed our weeks stay. Hope to return ASAP. 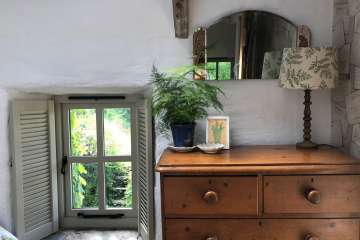 From the moment we entered the cottage we felt welcomed into this warm and inviting space. Every effort has been made in this beautiful, sensitive restoration to create a relaxed home-from-home experience. 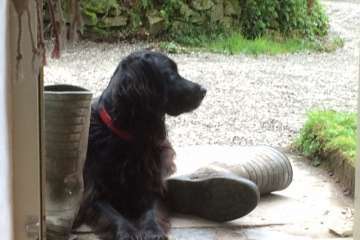 A lot of thought has gone into providing everything one might need , inside and out in the garden, - even down to the emergency Marmite! It was as if the hosts had prepared everything especially for us and then just popped out on an errand. 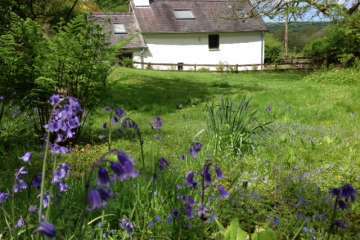 We loved staying in this peaceful cottage, surrounded by its lovely garden full of wildlife. Great house tucked away. Had everything you need. Lovely garden white a fire pit. Very helpful owners. Will definitely return. 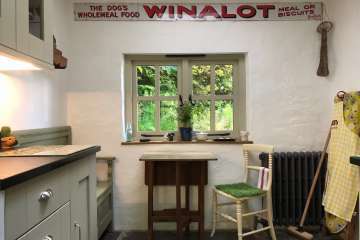 This must be one of the best cottage we've ever stayed in, simply because of the attention to detail which means you can really enjoy your stay here, whatever the weather. A place to unwind and relax. The location is also brilliant - 10 mins from some lovely local beaches at Llangrannog, Tresaith and Aberporth. There is also a great Italian restaurant up the road. 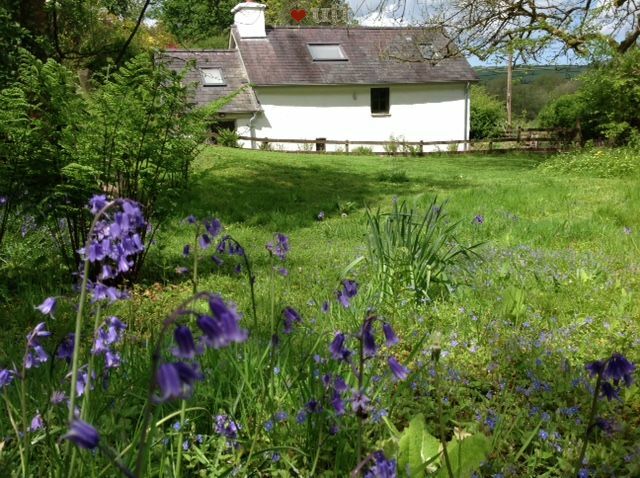 If you're looking for a tranquil, relaxing, private cottage this is the place for you. The cottage is very tastefully decorated and very clean. The owners have thought of everything down to dog shampoo, towels and chewsticks. 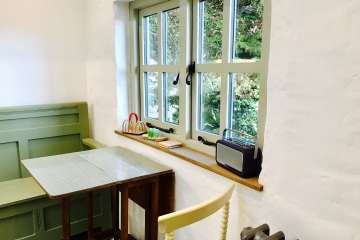 We have never stayed in such a well equipped cottage, it was like a home from home. The beds are also very comfortable. There's lots of wildlife in the secluded garden, lot''s of places to sit and relax. We would definately stay at this cottage again, it was beautiful. Our favourite UTT so far, every little detail has been thought of in this cottage. Spotlessly clean and very cosy with lovely little quirky pieces of decor. 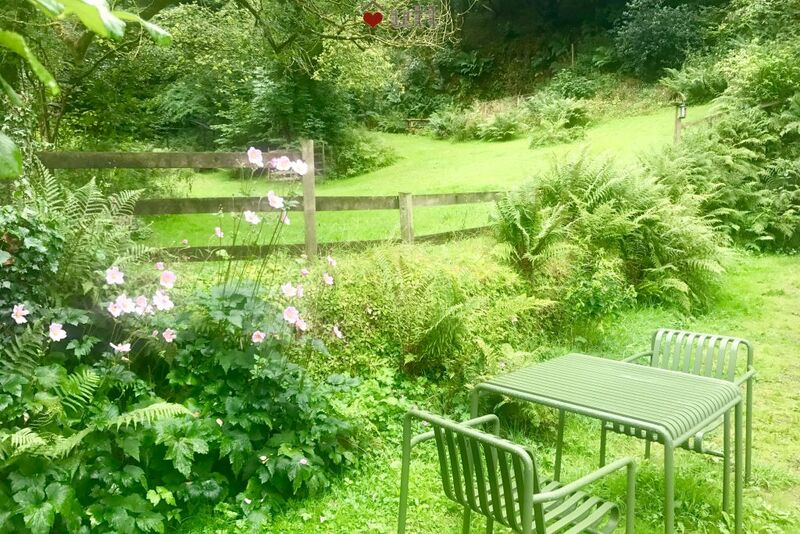 This is by far the best dog friendly cottage, the large garden is fully fenced in so you can let you're dogs explore without any worry, our 2 dogs also loved the woods at the back. 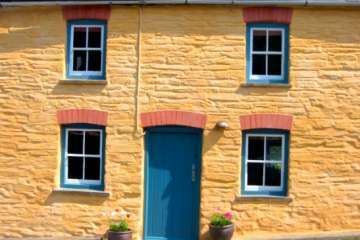 We hope to return very soon, anyone booking Fron Fach will not be disappointed it's the perfect, peaceful get away with all the luxuries of home and more. The most incredible place. 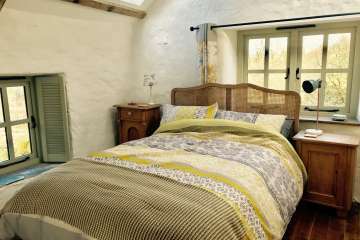 The setting is idyllic and the care that has been taken to renovate and kit out the cottage is exquisite. So many little touches which show that the people behind the place are a very special pair. Can't wait to come back. Thank you. You'll need to come a little closer as I'm only going to whisper this ... Fron fach is not average mediocre or ordinary. 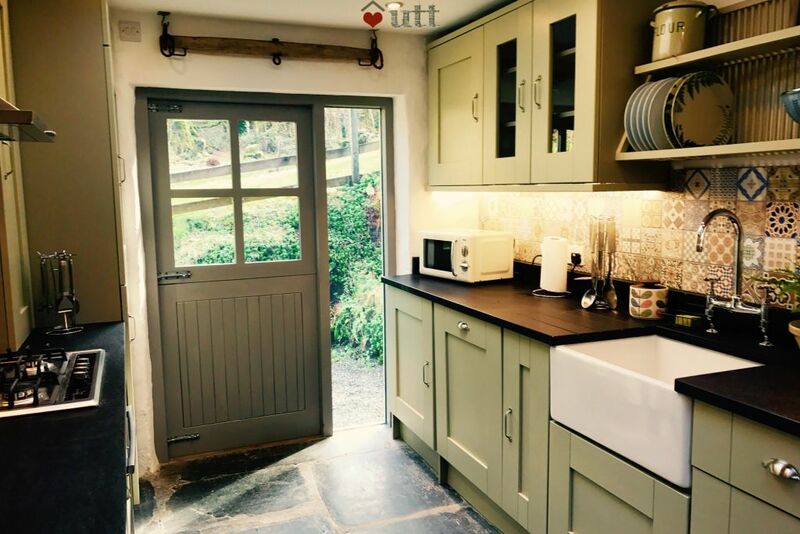 This pretty little cottage on the woodlands edge has been drawn together with an eye for quality and detail both inside and out. 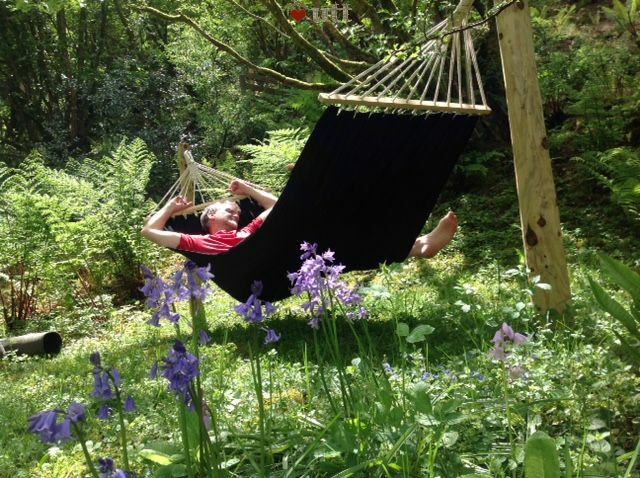 This is a turn up , have a glass of the complimentary wine , breath in the clean air , let Your eyes take in the verdant surroundings, and let the birds song fill your head. Now stop what ever you've been thinking about and let nature wrap you in a blanket of restoration. I'm whispering because the longer this place is a secret the more chance I have of getting Back to it soon Book it ... while you still can ! We loved our stay at Fron Fach. A beautifully restored cottage with everything we needed in the most beautiful setting. The cottage is a credit to the owners. It is surrounded by the most beautiful natural gardens with birds constantly darting about including a pair of red kites. Plenty of lovely places in the garden to sit back and relaxing. This little cottage will be calling us back very soon. A little gem ..... the perfect hideaway! Superb renovation carried out and every detail has been considered by the owner when equipping the property. Location is a hideaway where you simply switch off and absorb the surroundings. A delightful holiday - thank you very much. Would not hesitate to recommend to someone looking for R&R!